No.19 Music look once again to Tone of Arc for their latest single, an atmospheric cover version of the 1988 hit ‘Goodbye Horses’, the release also features a remix from the ever-excellent Deniz Kurtel. Jonny White’s No.19 Music has been keeping up the pressure in 2012 with a string of releases from the likes of Art Department & Konrad Black, Ali Love, Cameo Culture and Tone of Arc, the San Francisco based, multi-instrumentalist producer who has become a core member of the No19 team. 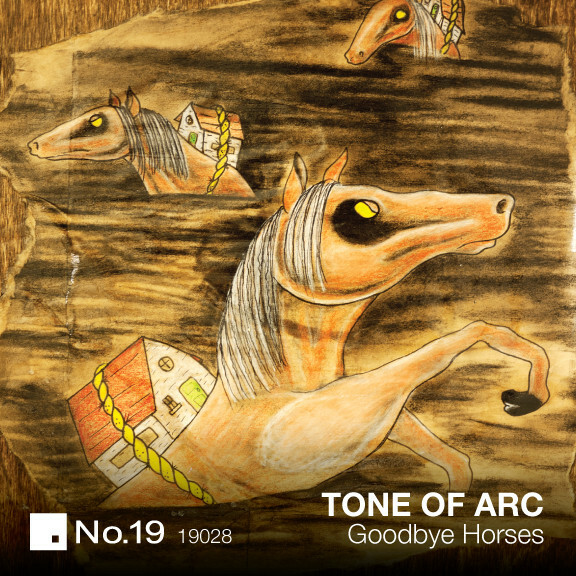 Tone Of Arc, better known to friends as Derrick Boyd has been a fixture on the electronic music scene for a number of years but it’s since hooking up with Jonny White and No19 that his star has really gone into its ascendency. His debut single ‘Shaking The Sky/No Pushers’ received broad critical acclaim on its release earlier this year and saw Derrick featured widely in the international press. Now Tone Of Arc is backed with a brand new release that is set to give an insight into the broader musical realms of which he inhabits. The record opens up with ‘Goodbye Horses’, a cover of the 1988 Q Lazzarus hit that famously featured in the film Silence of the Lambs. Boyd treats the composition with a deft touch, staying true to the original in many ways whilst bringing his own unique sound to bear, a dark edged ‘80s electro feel runs throughout and Boyd’s own vocals soar over the arrangement. ‘Goodbye Horses’ is followed by one of Boyd’s original compositions, ‘Sound Sail’ featuring vocals from Boyd and partner Zoe Presnick. ‘Sound Sail’ has a distinctly Balearic feel with its repeated piano chords and uplifting vocal elements playing off the rolling rhythms and deep pads/synths. The original version is complimented by a remix from Crosstown Rebels / Wolf + Lamb artist Deniz Kurtel, she turns ‘Sound Sail’ into a stripped and ethereal reworking that is hypnotic and a good late night twist on Boyd’s original. Out today.